Falling costs and ever-increasing capabilities mean that the use of robotics is increasing across industry, but is not always considered for many existing applications performed using conventional automation. Off-the-shelf robotics can solve many logistical problems cost-effectively, reducing complexity while increasing flexibility. MECHELEC AUTOMATiON can help you to identify novel applications for robotics, guiding you through the evaluation and implementation process. 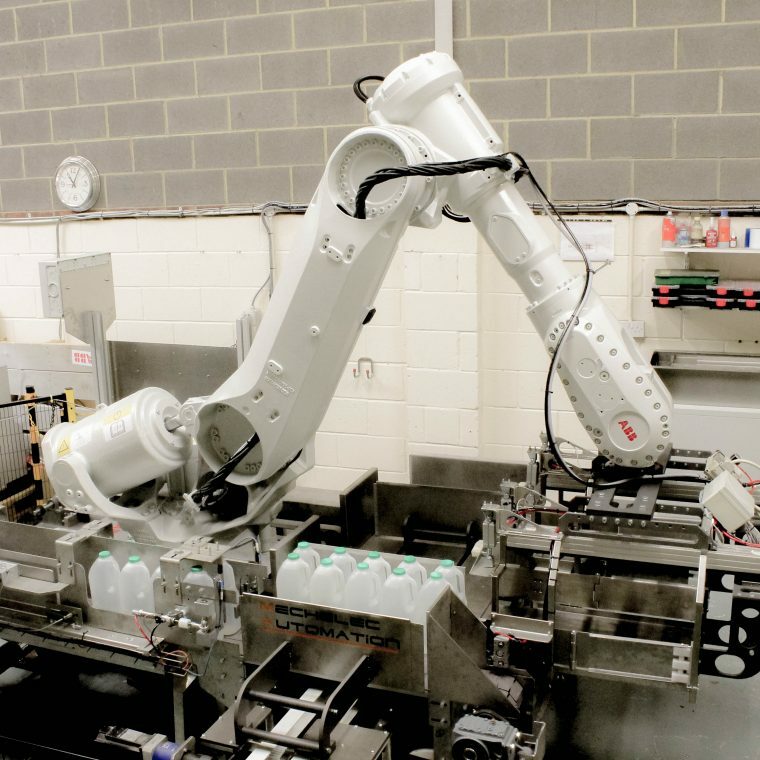 We work closely with leading robotics manufacturers – such as ABB and Comau – and have extensive experience in developing robotic heads for a variety of pick and place and packaging activities. From one-off projects to multi-site installations, we can design and support the implementation of advanced robotic systems to perform a wide range of tasks. Our previous experience in the deployment of robotics solutions means we are well versed in the health and safety requirements of these systems, designing and supplying safety cages and enclosures to meet the latest national and international risk assessment and regulatory guidelines. Click here for an example of how robotics can be used to revolutionise traditional workflows.